Mold growth in your home can spell disaster for the inhabitants. Not only can they cause extensive property damage, but can also negatively impact the air quality and lead to respiratory ailments. A moist environment is the perfect environment for them to thrive and multiply, gradually leading the property to become totally inhabitable. To prevent the spread of mold, it is important to undertake remediation measures at the earliest. 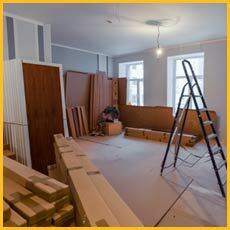 This is where Boca Raton Restoration Company can help you. We are the leading mold remediation services in and around Boca Raton, FL and can work to remove mold quickly from your property. 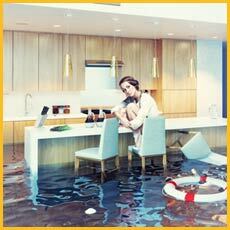 Whether it is flooding or roof leaks or plumbing errors, moisture can build up in the house due to myriad reasons. As mold survives on damp areas and doesn’t need sunlight for it to grow, moist areas present an ideal condition for mold growth. While mold is always present in the environment, it is when they become too high in number in a place that they pose a threat. Water leakage and inefficient drying can cause rampant mold growth that can severely affect your property. If you suspect mold growth in your property, don’t panic! Just call us at 561-275-5990 and bid goodbye to mold issues. How it silently destroys your property? Mold can be very damaging for property as it lives off organic matter to survive. When there is mold infestation, it negatively affects the insulation, walls, paper backing and carpeting among others, rendering all of them useless. It can also affect furnishings and even ventilation systems. When left unattended for long, the spores may spread all across the system leading you to replace it totally, causing heavy expenditures. If mold has infested your property in Boca Raton, FL area, early detection and remediation is the only way to check its growth. Intervention at the right time can halt its spread and ensure the safety of your property and the inhabitants. 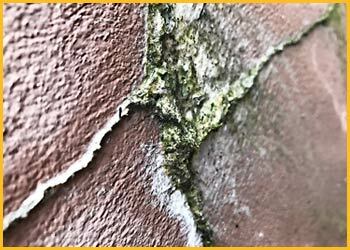 Inefficient mold remediation can be dangerous in that it can expedite the growth instead of curbing it. It can lead to contamination and cause extensive damage. At Boca Raton Restoration Company we have the best technicians working with us. All of them are well trained and have extensive experience in mold remediation services. They carry state-of-the-art tools to help detect and remove mold from your home in the right matter. After detection, the experts fist cordon off the affected area to prevent the spread to other parts of the house, next they remove the affected materials and clean the area with chemicals. To prevent further growth, the experts put moisture controls in place and indentify leaks and damp spots and fix them. There are cases where mold is not visible. Our experts use advanced methods at such times to find out the hidden growth spots and eliminate mold from there. Do you suspect mold growth in your home? Call us at 561-275-5990 for expert remediation services.